Metal recycling is one of the most impactful and important enterprises in today’s society. You too can contribute to this wonderful initiative by recycling at home or in the office. One of the most frequently recycled metals is aluminum, partly because it is so wide-spread, but also because it is light-weight and easy to transport. Even better, aluminum does well in terms of economics, maintaining a reasonable yet profitable market value. If you have an interest in recycling aluminum metal, start by gathering all of the aluminum you can find in and around your home and office. Keep in mind, there are several different types of aluminum, all of which retain different values and properties. To better sort your metal and understand its worth, it is helpful to learn about the various grades of aluminum. This will also help you seek out different items that you can recycle! Since it is highly versatile, aluminum can be combined with numerous other metals and alloys to produce different qualities and attributes, depending on the intended application. There are several different grades of aluminum out there, but the most popular ones to recycle are listed below. Pure Aluminum – Also known as Alloy 1100, this grade is known for its flexibility and softness. It is often used to produce items that involve complex shaping, bending, and forming. Furthermore, it is sought out for its high ductility, resistance to corrosion, and its brilliant color. Alloy 2011 – This alloy grade is also known as “free machining alloy (FMA)”, and commonly used for machinery applications. This is because Alloy 2011 retains high mechanical strength. It is good for manufacturing intricate and complex machine parts. Alloy 2014 – Just like Alloy 2011, Alloy 2014 retains high mechanical strength and machining abilities. Its strength coupled with its resistance to corrosion makes it a popular choice for aerospace structural applications. Alloy 2024 – Because of its incredible strength and fatigue resistance, this alloy is one of the most commonly used. When a project requires good weight to strength ratio, Alloy 2024 is usually the best match. 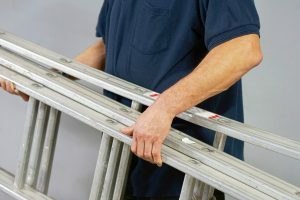 Alloy 3003 – Alloy 2024 may be one of the most commonly used grades of aluminum, but Alloy 3003 is the most commonly used grade. It retains a nominal amount of magnesium, which makes it up to 20% stronger than pure grade and 2011. Alloy 5052 – Just like pure grade aluminum, Alloy 5052 is non-heat treatable. But in comparison, it is stronger and more durable. It also has an adequate resistance to salt water, making it a staple in commercial and industrial marine applications. Alloy 6061 – Also non-heat treatable, Alloy 6061 is highly versatile; in fact, it is the most versatile out of all the non-heat treatable grades. It is also highly resistant to corrosion and retains terrific mechanical properties. In the annealed state, it is extremely malleable and can be welded using several different techniques. Alloy 6063 – Known as an architectural alloy since it is retains high tensile properties and excellent finishing characteristics, this corrosion-resistant alloy is popular for interior and exterior architectural applications, such as architectural trim and even anodizing. Alloy 7075 – Alloy 7075 is one of the highest strength aluminum alloys on the market. It is great for projects that require great weight to strength ratios. And just like Alloy 6061, it is better molded and shaped in an annealed condition, and responds well to heart treatments like spot and flash welding. 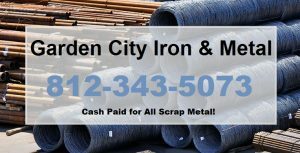 Call Garden City Iron & Metal at 1-888-586-5322 to recycle aluminum in Indianapolis, or in Central and Southern Indiana. We pay cash on the spot for both ferrous and non-ferrous metals, as well as, junk cars, automotive parts, appliances, construction equipment, motorized farming equipment, and much more! Get rid of your junk and make some fast cash at the same time. This entry was posted in Scrap Metal Recycling and tagged aluminum buyers, aluminum facts, aluminum grades, aluminum recycling Indianapolis, recycle aluminum Indianapolis, scrap metal buyers Indianapolis. Bookmark the permalink.